Are you looking for an Plumber in Sydney? We’re honest, reliable and affordable plumbers in Sydney who can guarantee our workmanship. We aim to deliver 100% customer satisfaction, every time, no matter what. Our refreshing approach has led to a long list of happy customers and the development of long-lasting relationships…we are your Sydney Plumbers. We’re Sydney Plumbers who do what it takes, every time. We don’t just get the job one – we pride ourselves in putting your needs first. Whether you are looking for a commercial plumber for an installation or some plumbing home maintenance, or everything in between – we’re here to help. We pride ourselves on being professional plumbers in Sydney with lightning-quick call out times, offering 24 hour emergency plumber services and even beating any quote by 10%! Repairs Guaranteed – We guarantee that repairs we make are made properly. We’re that confident of our work, that if our repairs fail in the first year, we will return to fix the job FREE OF CHARGE. On Time – Graham and Sons understand that your time is valuable, so we ensure that we are always on time as promised. Friendly & Courteous – Graham and Sons employees will make themselves available to all of your enquiries with a smile every time. 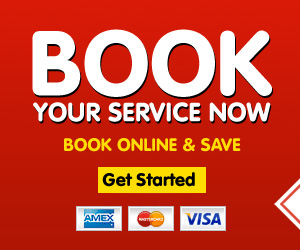 You deserve to receive the best service. Upfront Pricing – With Graham and Sons up front pricing, there is no guessing game for what the final price will be. On arrival, the plumber will listen and understand your needs, he will then asses and give options on your task and provides you an up front price for each option. You will decide which option is best for you and approve everything before the work begins. Service with a Smile – Our team of plumbers is the friendliest in Sydney! From your initial enquiry, right through to the plumber that turns up at your door, you can expect good manners at all times.